Born on February 25, 1943, in Liverpool, England, George Harrison formed a band with schoolmates to play clubs around Liverpool and in Hamburg, Germany. The Beatles became the biggest rock band in the world, and Harrison&apos;s diverse musical interests took them in many directions. Post-Beatles, Harrison made acclaimed solo records and started a film production company. 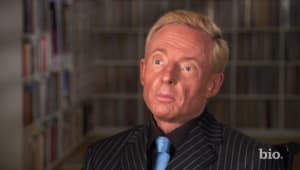 He died of cancer in November 2001. 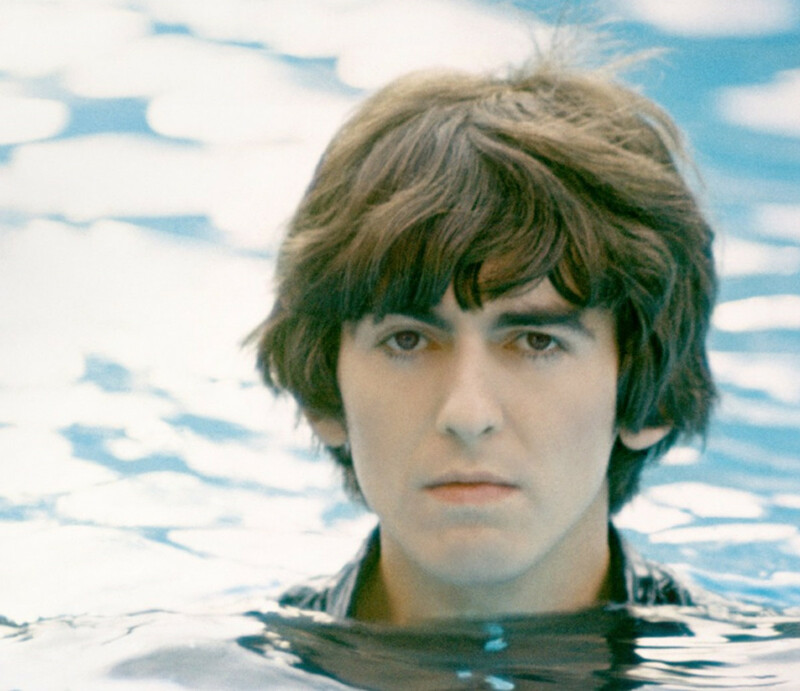 Pop star, songwriter, recording artist and producer George Harrison was born on February 25, 1943, in Liverpool, England. The youngest of Harold and Louise French Harrison&apos;s four children, George played lead guitar and sometimes sang lead vocals for the Beatles. Like his future bandmates, Harrison was not born into wealth. Louise was largely a stay-at-home mom (who also taught ballroom dancing), while her husband Harold drove a school bus for the Liverpool Institute, an acclaimed grammar school that George attended and where he first met Paul McCartney. By his own admission, Harrison was not much of a student, and what little interest he did have in his studies washed away with his discovery of the electric guitar and American rock and roll. As Harrison would later describe it, he had an "epiphany" of sorts at the age 12 or 13 while riding a bike around his neighborhood and getting his first whiff of Elvis Presley&apos;s "Heartbreak Hotel," which was playing from a nearby house. 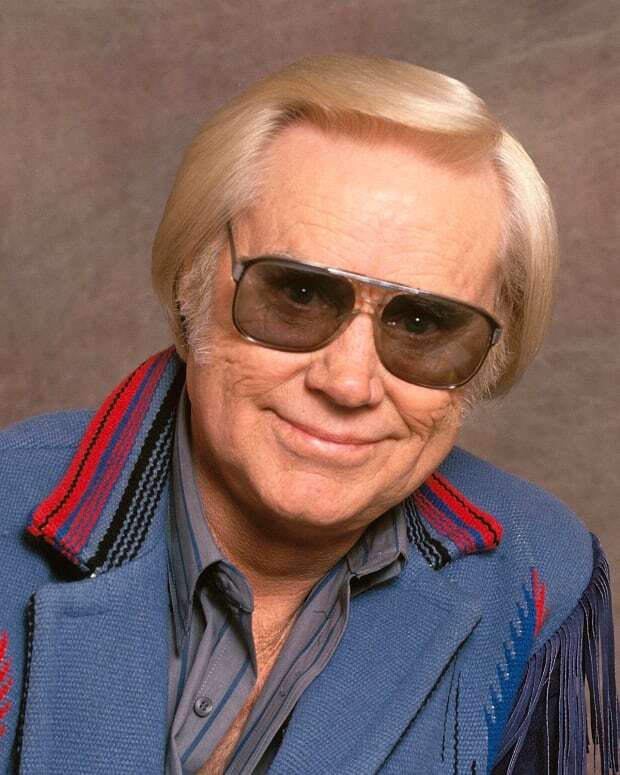 By the age of 14, Harrison, whose early rock heroes included Carl Perkins, Little Richard and Buddy Holly, had purchased his first guitar and taught himself a few chords. Impressed with his younger friend&apos;s talents, Paul McCartney, who had recently joined up with another Liverpool teenager, John Lennon, in a skiffle group known as the Quarrymen, invited Harrison to see the band perform. Harrison and Lennon actually shared some common history. Both had attended Dovedale Primary School, but oddly had never met. Their paths finally crossed in early 1958. 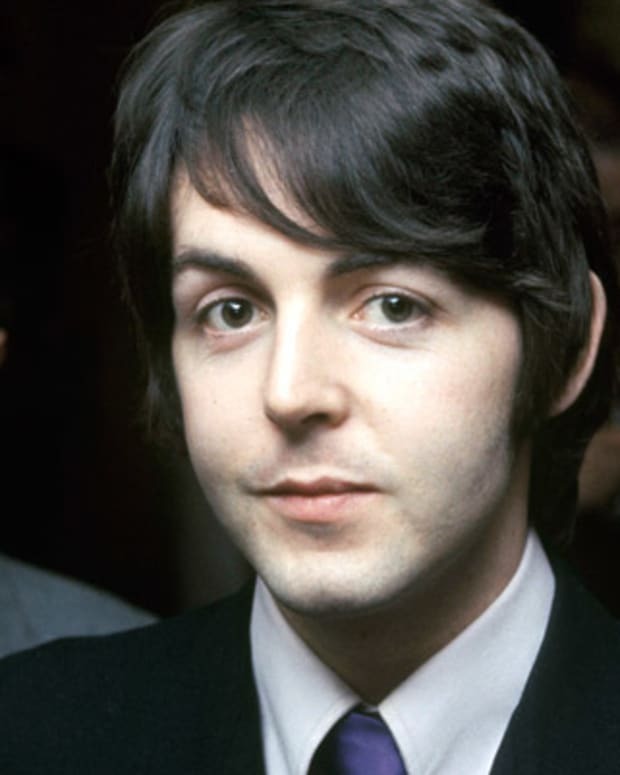 McCartney had been pushing the 17-year-old Lennon to let the 14-year-old Harrison join the band, but Lennon was reluctant to let the youngster team up with them. As legend has it, after seeing McCartney and Lennon perform, George was finally granted an audition on the upper deck of a bus, where he wowed Lennon with his rendition of popular American rock riffs. By 1960 Harrison&apos;s music career was in full swing. 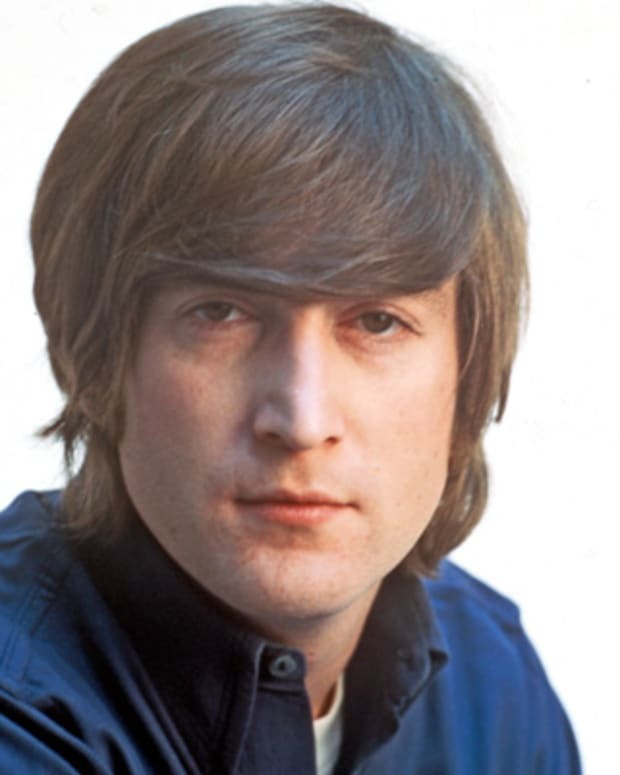 Lennon had renamed the band the Beatles, and the young group began cutting their rock teeth in the small clubs and bars around Liverpool and Hamburg, Germany. 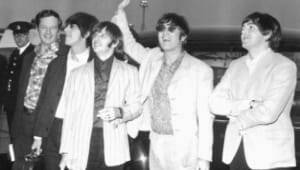 Within two years, the group had a new drummer, Ringo Starr, and a manager, Brian Epstein, a young record-store owner who eventually landed the Beatles a contract with EMI&apos;s Parlophone label. Before the end of 1962, Harrison and the Beatles recorded a top 20 U.K. hit, "Love Me Do." Early that following year, another hit, "Please Please Me," was churned out, followed by an album of the same name. Beatlemania was in full swing across England, and by early 1964, with the release of their album in the United States and an American tour, it had swept across the Atlantic as well. 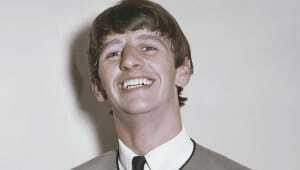 Largely referred to as the "quiet Beatle" Harrison took a backseat to McCartney, Lennon and, to a certain extent, Starr. Still, he could be quick-witted, even edgy. During the middle of one American tour, the group members were asked how they slept at night with long hair. "How do you sleep with your arms and legs still attached?" Harrison fired back. From the start, the Beatles were a Lennon-McCartney driven band and brand. But while the two took up much of the group&apos;s songwriting responsibilities, Harrison had shown an early interest in contributing his own work. In the summer of 1963 he spearheaded his first song, "Don&apos;t Bother Me," which made its way on to the group&apos;s second album, With the Beatles. From there on out, Harrison&apos;s songs were a staple of all Beatles records. In fact, some of the group&apos;s more memorable songs, such as While My Guitar Gently Weeps and Something—the latter of which was was recorded by more than 150 other artists, including Frank Sinatra—were penned by Harrison. George Harrison from HBO&apos;s George Harrison: Living in the Material World Martin Scorsese documentary. But his influence on the group and pop music in general extended beyond just singles. In 1965, while on the set of the Beatles&apos; second film, Help! Harrison took an interest in some of the Eastern instruments and their musical arrangements that were being used in the movie, and he soon developed a deep interest in Indian music. Harrison taught himself the sitar, introducing the instrument to many Western ears on John Lennon&apos;s song, "Norwegian Wood." He also cultivated a close relationship with renowned sitar player Ravi Shankar. Soon other rock groups, including the Rolling Stones, began incorporating the sitar into their work as well. It could also be argued that Harrison&apos;s experimentation with different kinds of instrumentation helped pave the way for such groundbreaking Beatles albums as Revolver and Sgt. Pepper&apos;s Lonely Hearts Club Band. 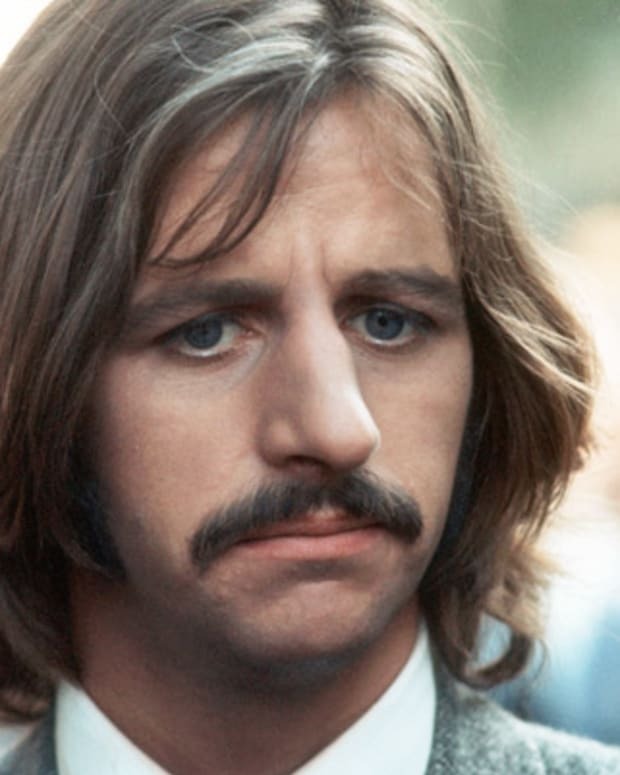 Having grown spiritually and musically since the group first started, Harrison, who was feeling the pangs to include more of his material on Beatles records, was clearly uneasy by the group&apos;s Lennon-McCartney dominance. 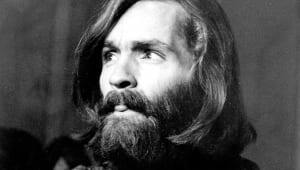 During the Let It Be recording sessions in 1969, Harrison walked out, leaving the band for several weeks before he was coaxed to come back with the promise that the band would use more of his songs on its records. But tensions in the group were clearly high. Lennon and McCartney had ceased writing together years earlier, and they too were feeling the yearning to go in a different direction. In January 1970, the group recorded George Harrison&apos;s "I Me Mine." It was the last song the legendary group would ever record together. 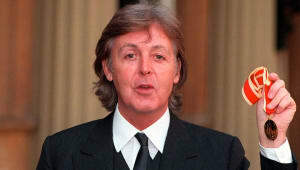 Three months later, Paul McCartney publicly announced that he was leaving the band, and the Beatles were officially done. 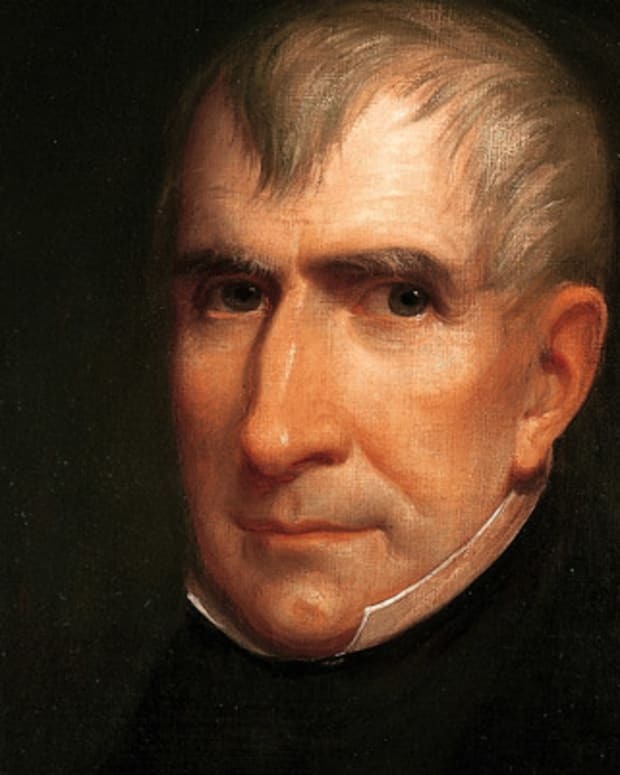 All of which proved to be a great boon to Harrison. He immediately assembled a studio band consisting of Ringo Starr, guitarist Eric Clapton, keyboardist Billy Preston and others to record all of the songs that had never made it on to the Beatles catalog. The result was 1970&apos;s three-disc album, All Things Must Pass. While one of its signature songs, "My Sweet Lord," was later deemed too similar in style to the the Chiffons earlier hit "He&apos;s So Fine," forcing the guitarist to cough up nearly $600,000, the album as a whole remains Harrison&apos;s most acclaimed record. Not long after the album&apos;s release, Harrison brandished his charitable leanings and continued passion for the East when he put together a series of groundbreaking benefit concerts held at New York City&apos;s Madison Square Garden to raise money for refugees in Bangladesh. Known as the Concert for Bangladesh, the shows, which featured Bob Dylan, Ringo Starr, Eric Clapton, Leon Russell, Badfinger and Ravi Shankar, would go on to raise some $15 million for UNICEF. They also produced a Grammy Award–winning album, and lay the groundwork for future benefit shows such as Live Aid and Farm Aid. But not everything about post-Beatles life went smoothly for Harrison. 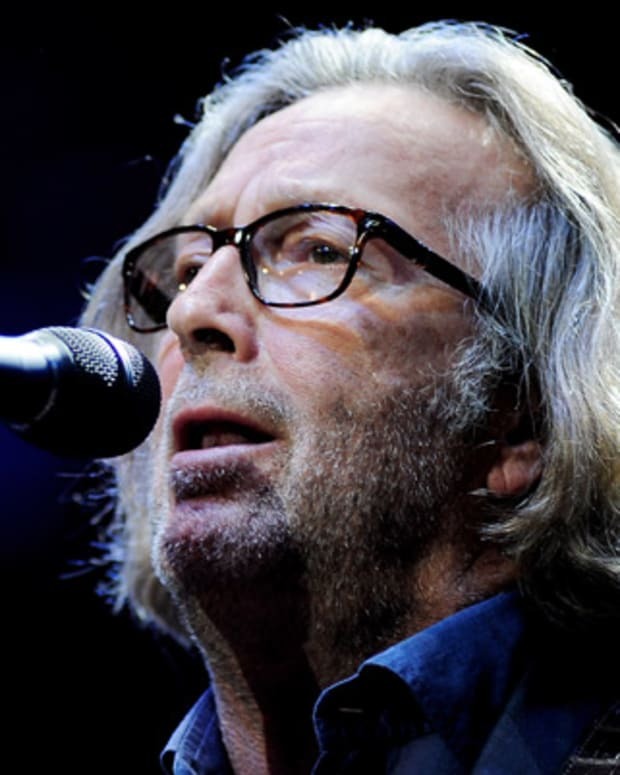 In 1974, his marriage to Pattie Boyd, whom he&apos;d married eight years before, ended when she left him for Eric Clapton. His studio work struggled, too. Living in the Material World (1973), Extra Texture (1975) and Thirty-Three & 1/3 (1976) all failed to meet sales expectations. Following the release of that last album, Harrison took a short break from music, winding down his self-started label, Dark Horse, which had produced works for a number of other bands, and started his own movie production company, HandMade Films. The outfit underwrote Monty Python&apos;s Life of Brian and the cult classic Withnail and I and would go on to release 25 other movies before Harrison sold his interest in the company in 1994. 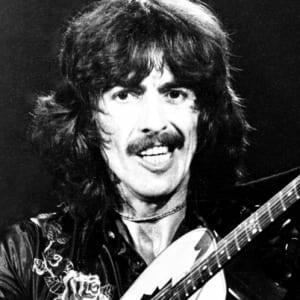 In 1978, Harrison, newly married to Olivia Arias and the father of a young son, Dhani, returned to the studio to record his eighth solo album, George Harrison, which was released the following year. 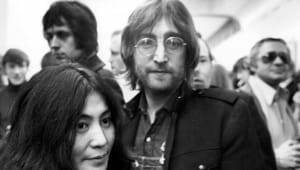 It was followed two years later with Somewhere in England, which was still being worked on at the time of John Lennon&apos;s assassination on December 8, 1980. 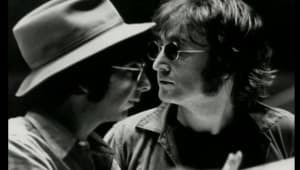 The record eventually included the Lennon tribute track, "All Those Years Ago," a song that incorporated contributions McCartney and Starr. While the song was a hit, the album, its predecessor, and its successor, Gone Troppo (1982), weren&apos;t. For Harrison, the lack of commercial appeal and the constant battles with music executives proved draining, and they prompted another studio hiatus. But a comeback of sorts arrived in 1987, with the release of his album Cloud Nine. 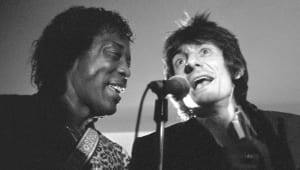 The record featured a pair of hits and led to Harrison linking up with Jeff Lynne, Roy Orbison, Tom Petty and Bob Dylan to form what was dubbed a "super group" in the form of the Traveling Wilburys. Encouraged by the commercial success of the Wilburys two studio albums, Harrison took to the road in 1992, embarking on his first solo tour in 18 years. Not long after, George Harrison reunited with Ringo Starr and Paul McCartney for the creation of an exhaustive three-part release of The Beatles Anthology, which featured alternate takes, rare tracks and a previously unreleased John Lennon demo. Originally recorded by Lennon in 1977, the demo, titled "Free as a Bird," was completed in the studio by the three surviving Beatles. The song went on to become the group&apos;s 34th Top 10 single. From there, however, Harrison largely became a homebody, keeping himself busy with gardening and his cars at his expansive and restored estate in Henley-on-Thames in south Oxfordshire, England. Still, the ensuing years were not completely stress-free. 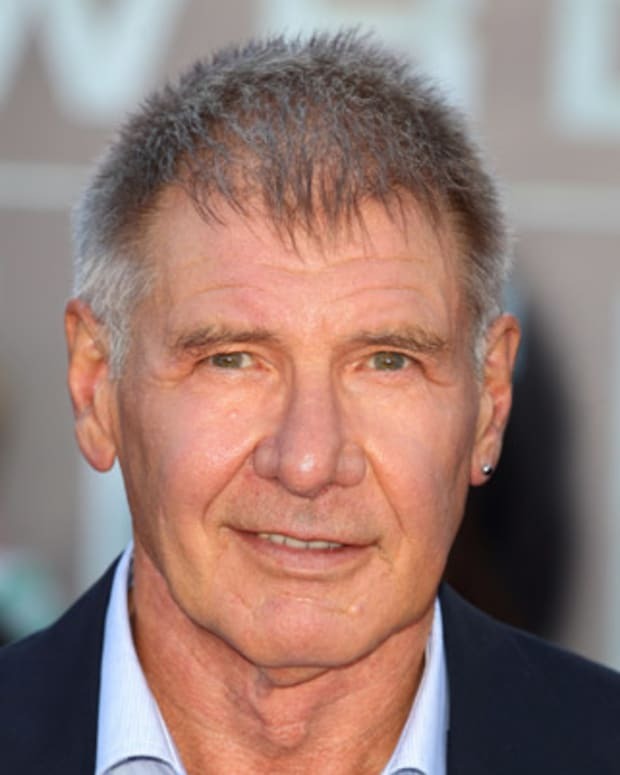 In 1998, Harrison, a longtime smoker, reportedly was successfully treated for throat cancer. A year later, his life was again put on the line when a deranged 33-year-old Beatles fan somehow managed to circumvent Harrison&apos;s intricate security system and detail and broke into his home, attacking the musician and his wife, Olivia, with a knife. 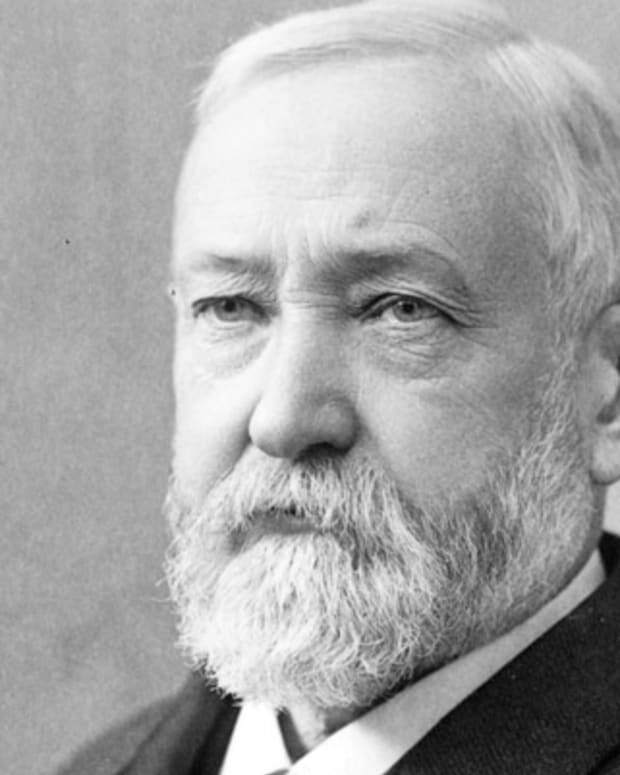 Harrison was treated for a collapsed lung and minor stab wounds. Olivia suffered several cuts and bruises. In May 2001, Harrison&apos;s cancer returned. There was lung surgery, but doctors soon discovered the cancer had spread to his brain. That autumn he traveled to the United States for treatment and eventually landed at the UCLA Medical Center in Los Angeles. 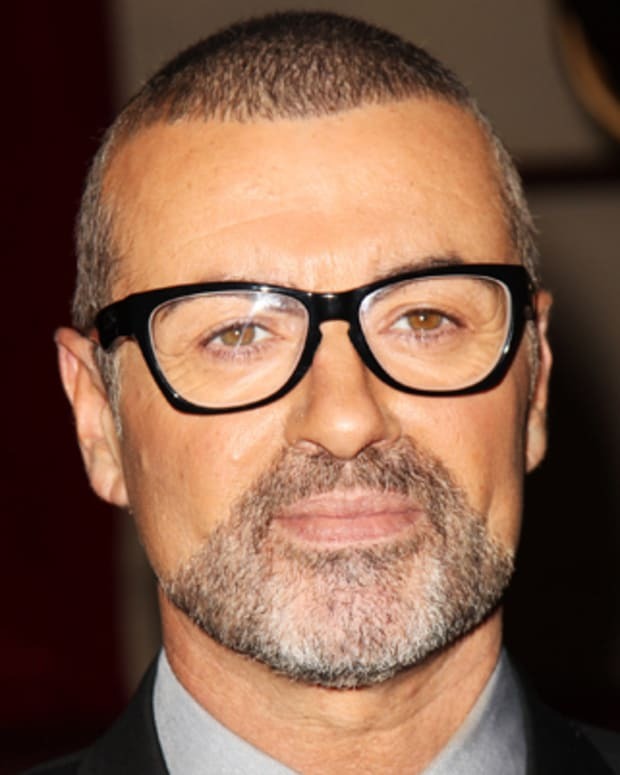 He died on November 29, 2001, at a friend&apos;s house in LA with his wife and son at his side. Of course, Harrison&apos;s work still lives on. Beatles records and Harrison&apos;s solo albums continue to sell (in June 2009 EMI released Let It Roll: Songs by George Harrison a 19-track anthology of the guitarist&apos;s best solo work) and not long after his death, keyboardist Jools Holland put out a CD featuring a track co-written by Harrison and his son, Dhani. In addition, in late 2002, Harrison&apos;s final studio album, Brainwashed, a collection of songs he&apos;d been working on at the time of his death, was finished by his son and released. And in September 2007, filmmaker Martin Scorsese announced he&apos;d be directing a movie about Harrison&apos;s life. Titled George Harrison: Living in the Material World, the documentary was released in October 2011.